The Grand Finals of the 4th Steinway Youth Piano Competition 2018 will take place on June 30 at the Carlos P. Romulo Auditorium at the RCBC Plaza. The Grand Finals will see 16 young aspiring pianists from ages 8 to17 vie for a chance to represent the Philippines at the Regional Finals in Taiwan. 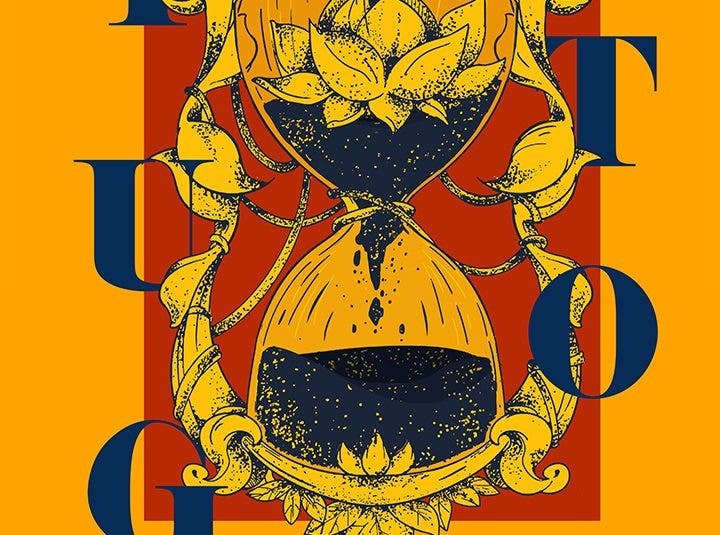 This year, the Philippines fields sixteen national finalists: Selina Go, William Matthew Lim, Angelmay Tsai, and Eunice Cai Yang for Category 1 (ages 11 and below); Patricia Chloe Bangco, Athena Justina Elizaga, Nathan Go, Catherine Li, and Sophia Dominique Sumulong for Category 2 (ages 12 to 14); and Eimee Alarcon, Gregory Cheong, Faye Jasmine Dinglasan, Kirsten Chantrice Fabellar, Rueben Kiel Ibon, Irene Jasmine Lee, and Andrea Bernadette Verzosa for Category 3 (Ages 15 to 17). The Grand Finals will be judged by Steinway Artists Professor Benjamin Loh (Singapore) and Dr. Eleanor Wong (Hong Kong), as well as Professor Albert Tiu who is a renowned Filipino pianist based in Singapore. The winner of Regional Finals in Taiwan will represent Southeast Asia at the International Steinway Festival 2018 in Hamburg, Germany. “As we are committed to providing a holistic environment in nurturing young talents like yourselves, it is also a natural extension of our business to create this opportunity for young budding musicians to showcase their talents on a platform that is modelled after the Hamburg Festival which is a non-competitive musical get-together aimed to help foster friendships in celebrating the joy of music-making,” adds Celine Goh. 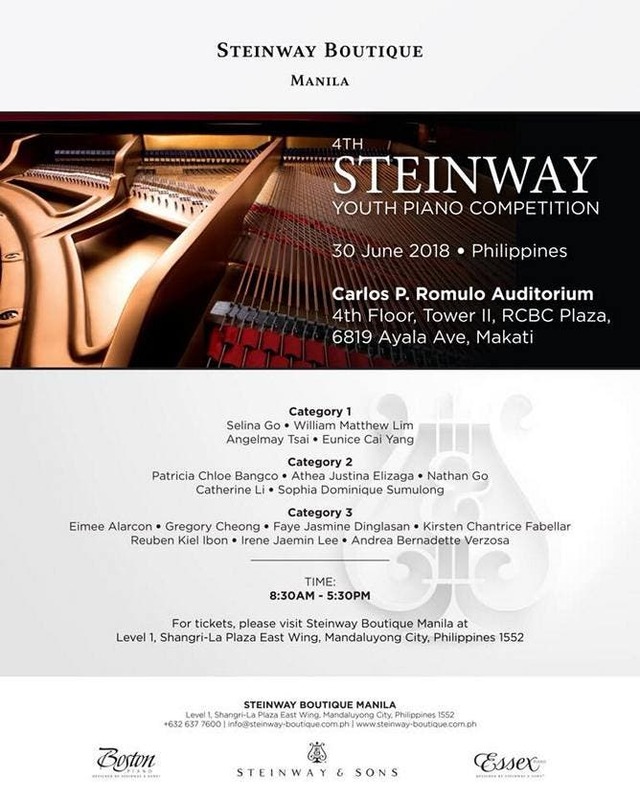 The Philippine Steinway Youth Piano Competition will be held on June 30, 2018, Saturday, 8:30 AM at Carlos P. Romulo Auditorium in RCBC Plaza, Ayala Ave., Makati City. For tickets, please visit Steinway Boutique Manila at Level 1, Shangri-La Plaza East Wing, Mandaluyong City or contact us at info@­steinway-boutique.com.ph | +632 637 7600. 5 Nate Ruess Songs That We Can’t Wait to Hear At His Concert Tomorrow!